Finding a good set of binoculars for a reasonable price can be a bit of a challenge. It is important to consider durability, clarity, magnification, ease of focus and comfort when looking for the best binoculars for your needs. Whether you are wanting to do some hunting, go birdwatching or plan to have a great view at a concert, having quality binoculars can make all the difference. In this guide, we will cover the best binoculars for hunting. We will weigh the pros and cons of 8 different binoculars under $300 and help you make a logical purchase. Some of these binoculars are more compact and lightweight, while others are a bit more bulky, but do the same thing. Those are the types of issues we will point out to help you outweigh the pros and cons. Without further ado, lets getting started and help you find the perfect binoculars for you! 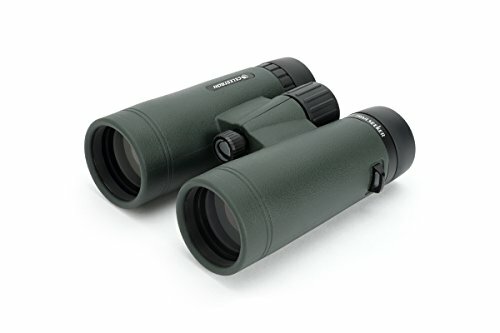 Overview: These army green binoculars offer a very wide field of view to follow your subject more easily without as much movement from the binoculars. Edge sharpness is not compromised with the large field of view. These binoculars are waterproof and fog proof. They come in as a top choice for best binoculars for hunting. These can be adapted for use on a tripod. The Celestron brand binoculars are compact and lightweight, weighing only 1.45 pounds. Separate focus points help to match the differences between eyes. These are reasonably priced for hunting binoculars under $200. 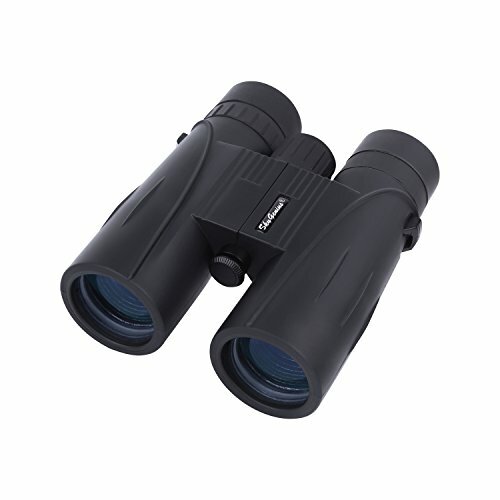 Overall, these binoculars are a great choice if you are looking for quality binoculars. Overview: These affordable binoculars come with a wide field of view, which makes focusing on your subject easier. They are made with dual adjustment for both eyes. These come in at 1.68 pounds and are a bulkier binocular model than others. The SkyGenius binoculars can be used with standard tripod. They come with a carrying case and a strap for the binoculars. These binoculars are designed with a no-slip grip for easy handling. Children can enjoy these binoculars, as they are made to adjust to different sizes and are perfect for kids and adults alike. Overview: Bushnell is a well established brand for optics and the Legend L-Series is a great choice for a high quality binocular. They are designed with anti-reflection technology to allow for optimum brightness and clarify. These binoculars are made to stay clear and focused in rain, snow or other wet conditions without fogging up. They have an ultra wide field of view to make focusing on objects easier. They weigh about 1.5 pounds, but are a larger model binocular. These come with a strap and carrying case, as well as lens covers and wipe. Focusing with these is very quick and easy and delivers a sharp image. They can be adapted for use on a tripod. 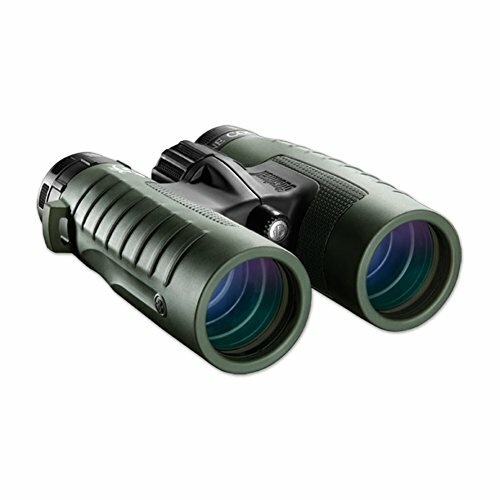 Overall a great binocular for under $200. Overview: These durable and rugged Nikon binoculars are a great choice for any outdoor activities. In general, Nikon is a well-reviewed brand and offer quality you can trust. 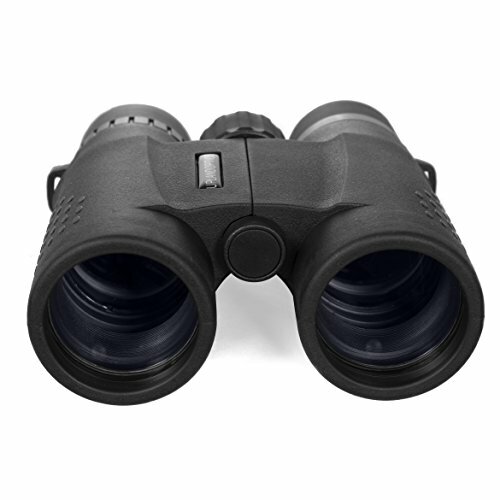 These binoculars offer high to extremely high range magnification for further distances. 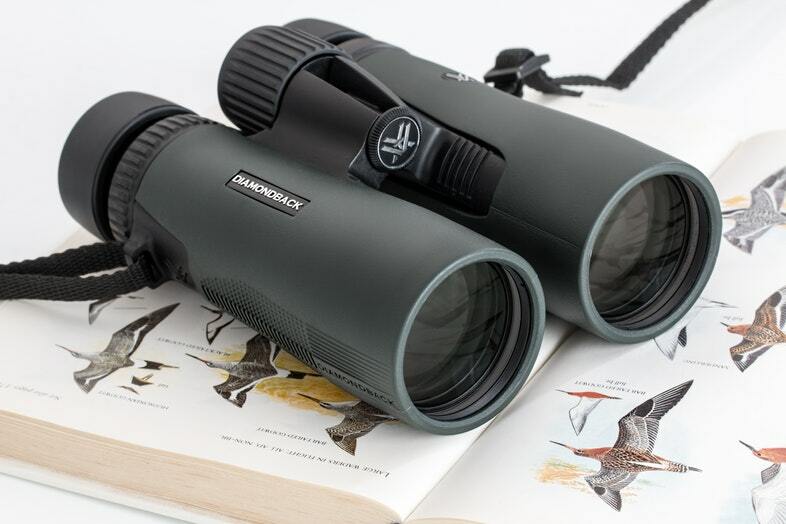 The weight of these binoculars is just over 3 pounds but the quality is worth it, as the magnification is higher than some compact designs. These come with a free tripod adapter. Get a good focus with the fast and smooth adjustment on this binocular. This Nikon binocular makes a good choice for a rugged, well-built design to take with you outdoors. Overview: These Bushnell brand binoculars come with ED Prime Glass, which offers excellent color resolution and contrast, even in low-light conditions. They have an anti-reflective lens coating for optimizing image sharpness and quality. They are also waterproof and fog proof. At only 1.54 pounds, they are lightweight and fairly compact binoculars. 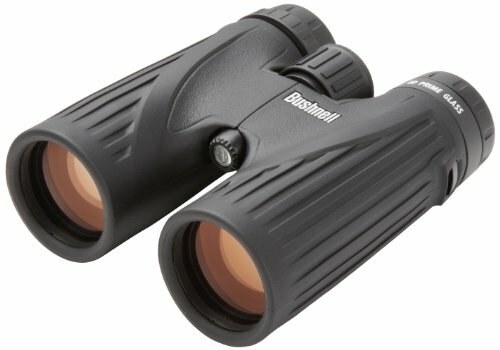 These binoculars are under $200, making them a great value for the quality that is delivered. They are designed with an ultra wide field of view for better and easier focus on your subject. You won’t be disappointed with the overall quality of these hunting binoculars. “Crisp and clear image with great contrast. Great in low-light, too. Overview: These binoculars were made to take hunting with a rugged design. They are waterproof and fog proof with a rubber body. You are sure to get a clear, crisp image with the ED glass featured in this binocular. They even come with a lifetime warranty. 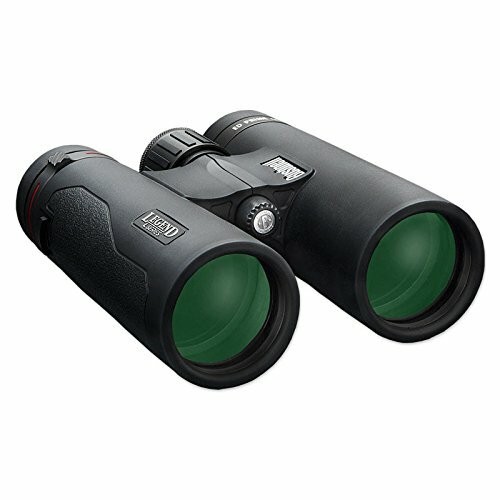 These compact binoculars weigh only 1.44 pounds, making them a great choice to carry with you for the hunt. These come with a carry case, neck strap and lens protectors. They can be used with glasses, where clarity is not compromised. Upland Optics states they are “made by hunters, for hunters.” Overall, a great choice if you are looking for high quality binoculars that are still under $300. They compete with more high-end binoculars with a rugged design that is built to withstand the elements. Overview: The Bone Collector Edition binoculars are waterproof and fog proof for a clear image, even in wet conditions. The fast focus of these binoculars helps with precision when time matters. They come in at a weight of 1.56 pounds and is less compact than some counterparts. These binoculars are designed to give you clear, sharp images in low-light situations. This model is made to be more durable and handling is made easier with a comfort grip casing. The binoculars come in a carry case and includes a wide neck strap. 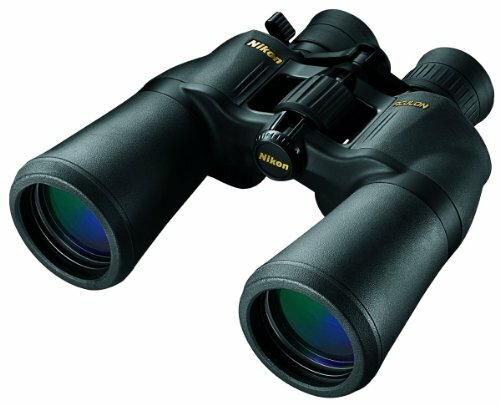 Overview: These Nikon brand binoculars are waterproof and fog proof to give you a clear image. They are designed to provide crisp, sharp images and improved low-light capability. The rugged, rubber material makes these a great choice for any outdoor activities. They are made with a Prism coating to provide a brighter, clearer focus. These come with a 25 year limited warranty from Nikon. They weigh only 1.5 pounds so they are easy to carry around. 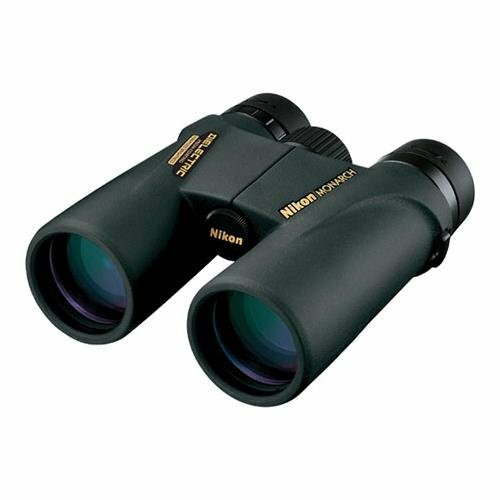 These binoculars are a great choice for hunters and birdwatchers alike. Overall, a quality binocular from a trusted optics brand. They come in at a relatively affordable price, under $300, for a good quality set of binoculars. The Trailseeker’s have a very good clear image and I use them to see at night. Good price under $200. Hello Kaci. I love this review that you have detailed here. These look like great options. Thanks for sharing.